On this podcast you’ve heard from many graduates of Alpine Valley School, but in this episode listeners have the opportunity to hear from a current student. 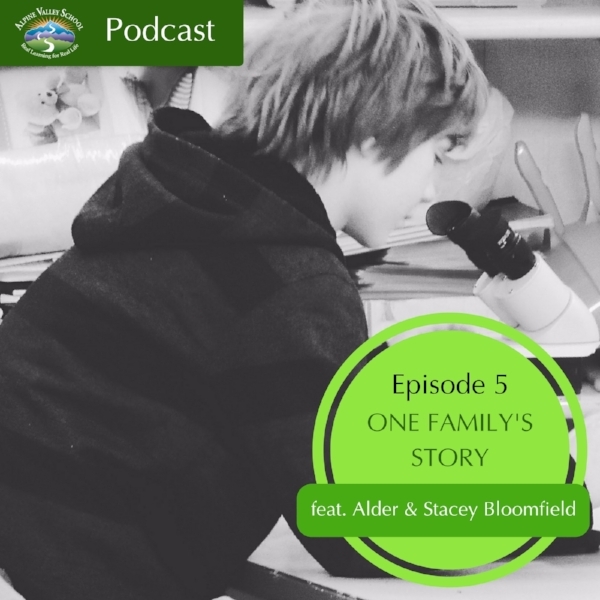 Host Missa Gallivan interviews ten year-old Alder Bloomfield and his mom, Stacey. A former unschooling family, they share how their lives have changed since enrolling in Alpine Valley School three years ago along with some of the benefits and challenges they have experienced along the way. Alder also shares his personal experiences with Judicial Committee and other aspects of life at school. This episode is perfect for any families with unschooling backgrounds considering the move to democratic education at schools like Alpine Valley.